Hello and welcome back! 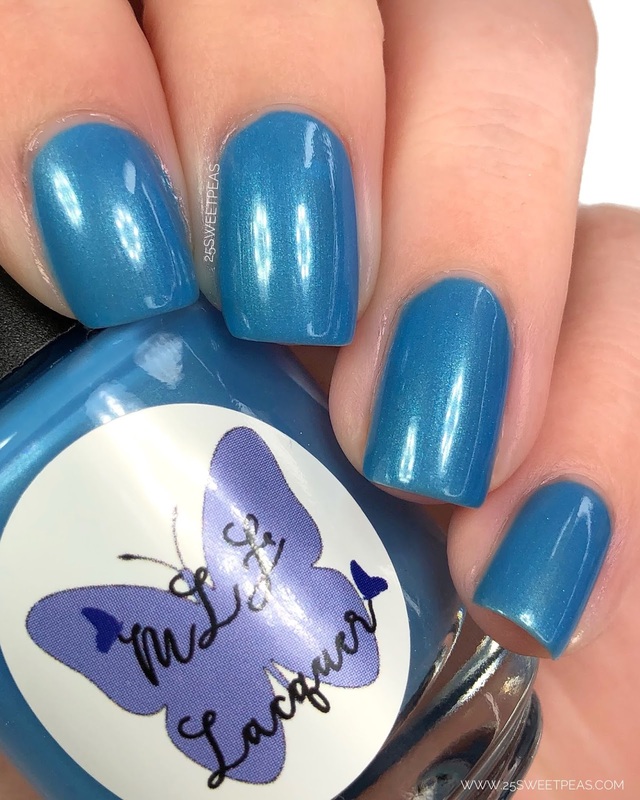 Today I have a new upcoming collection to show you from MLF Lacquer. 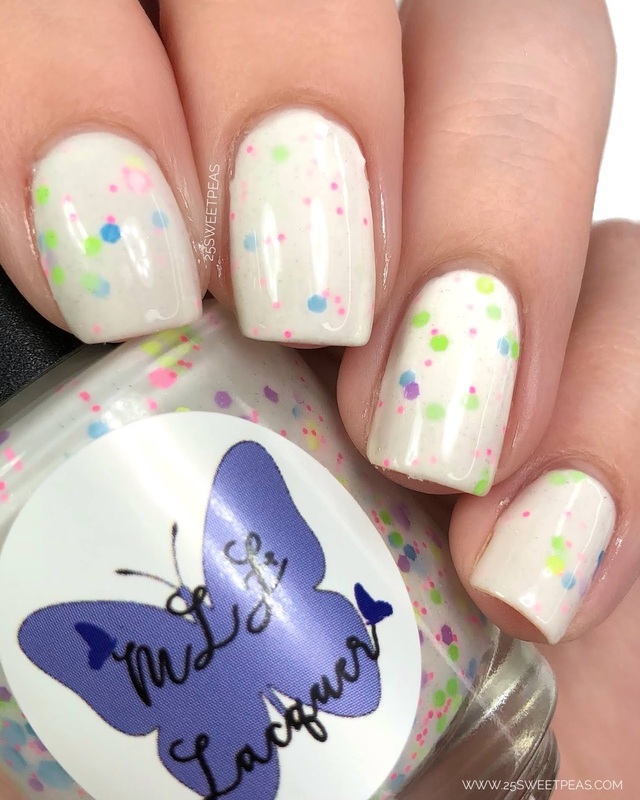 First up is an Easter Collection, and then a stand alone polish for next month, all of which are releasing on March 29th, this Friday! So let's take a look. 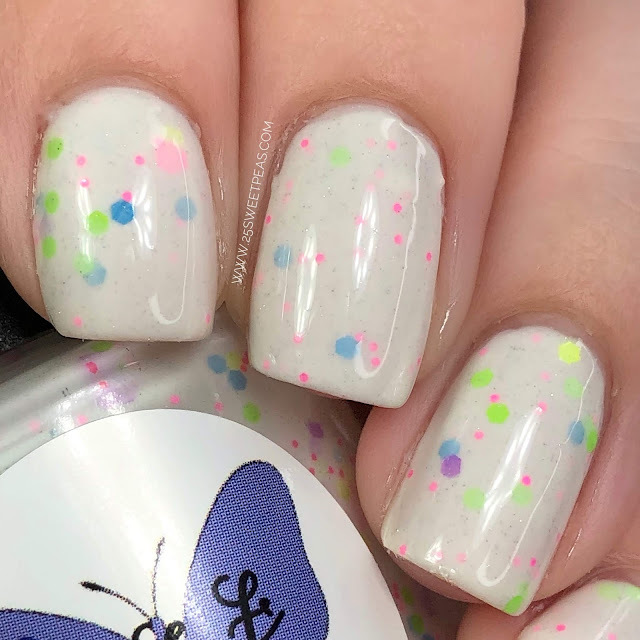 A white crelly with matte pastel neon glitters in purple, pink, blue, yellow, and green and scattered microfine holographic glitters. 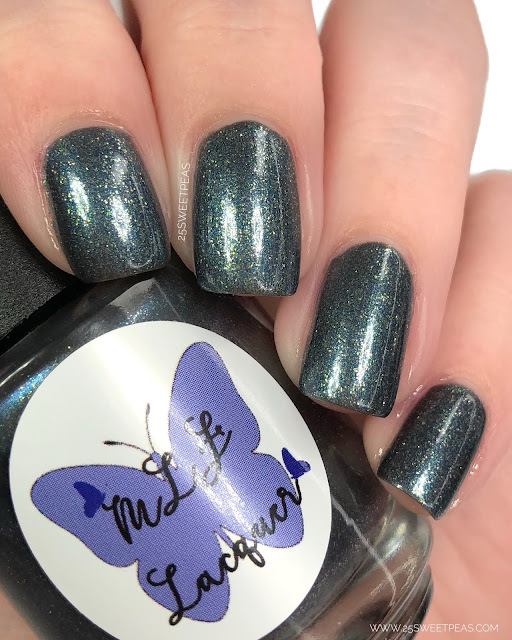 This polish has the perfect name! 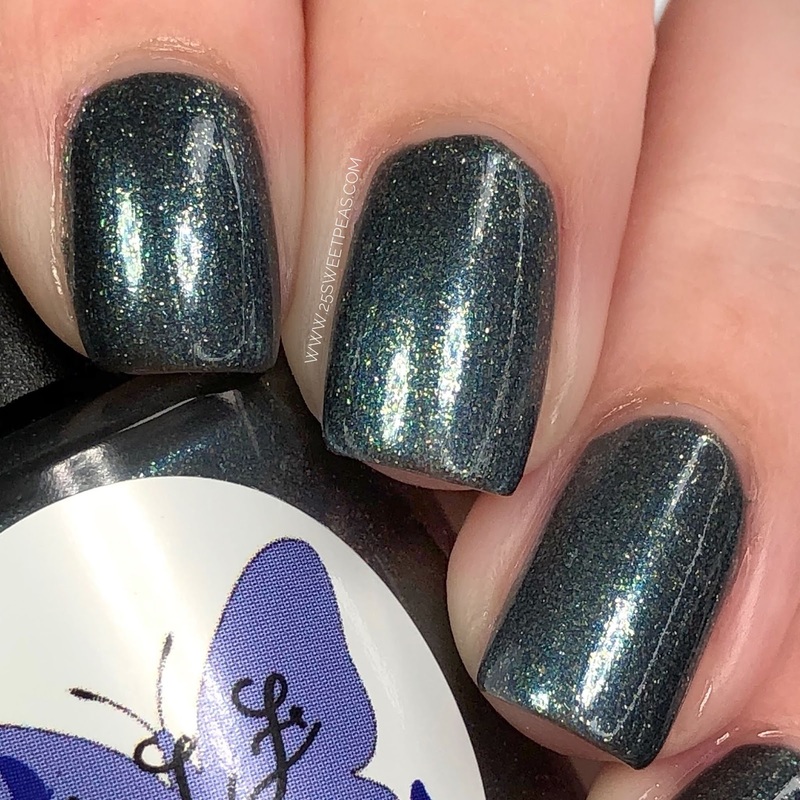 It looks like its name, and the crelly aspect is so nice because it allows you to get a really nice amount of depth with the glitter. It applies in a nice easy 3 coats, the formula is what really helps make that 3 coats go quickly. A pastel purple with a red shimmer and scattered microfine holographic glitters. 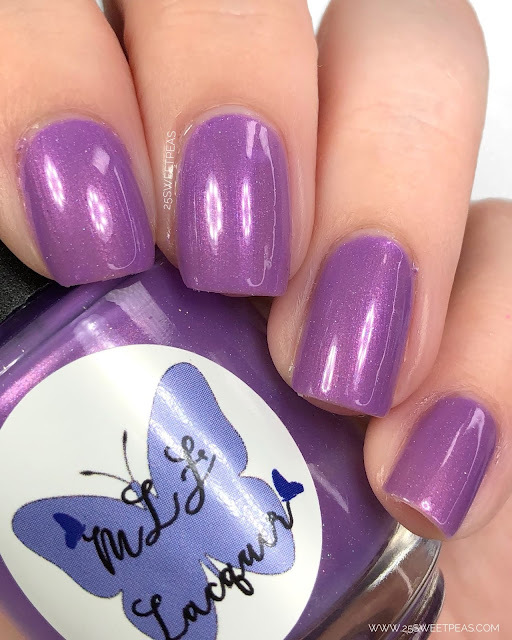 On the hunt for a good lavender with a touch and holo, and a shimmer? Well this is that! Fabulous formula. Goes a bit thin at first but the second coat brings it all the way to full coverage. If you do super thin coats you may have to do 2-3, but for the most part 2 will be perfect! 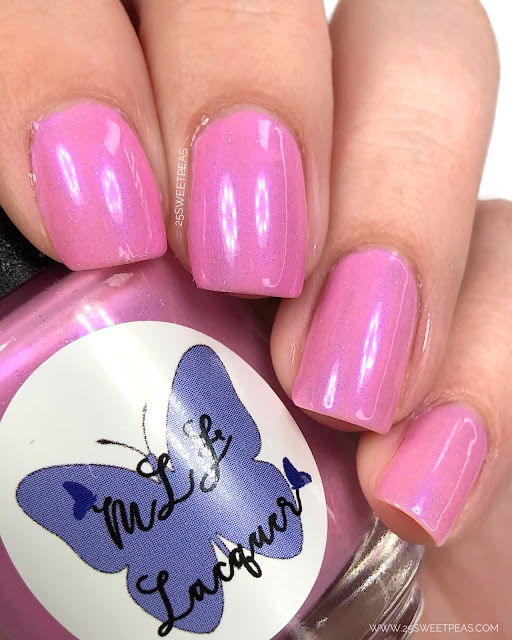 A pastel pink with a purple shimmer and scattered microfine holographic glitters. 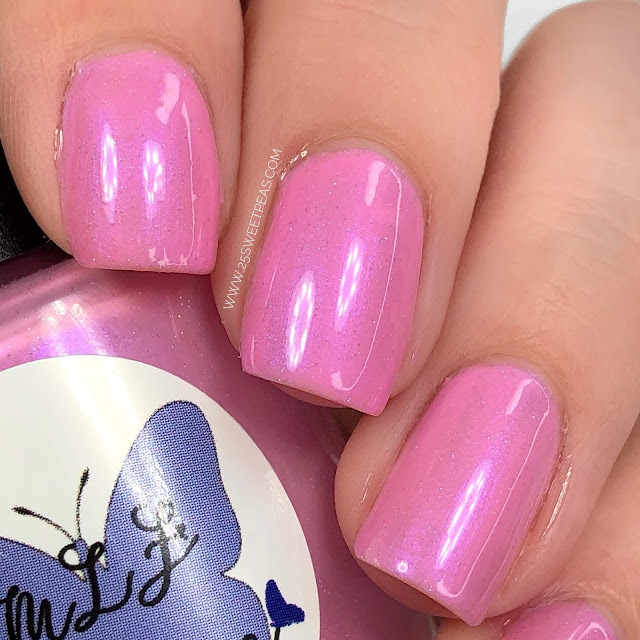 Love this pink. 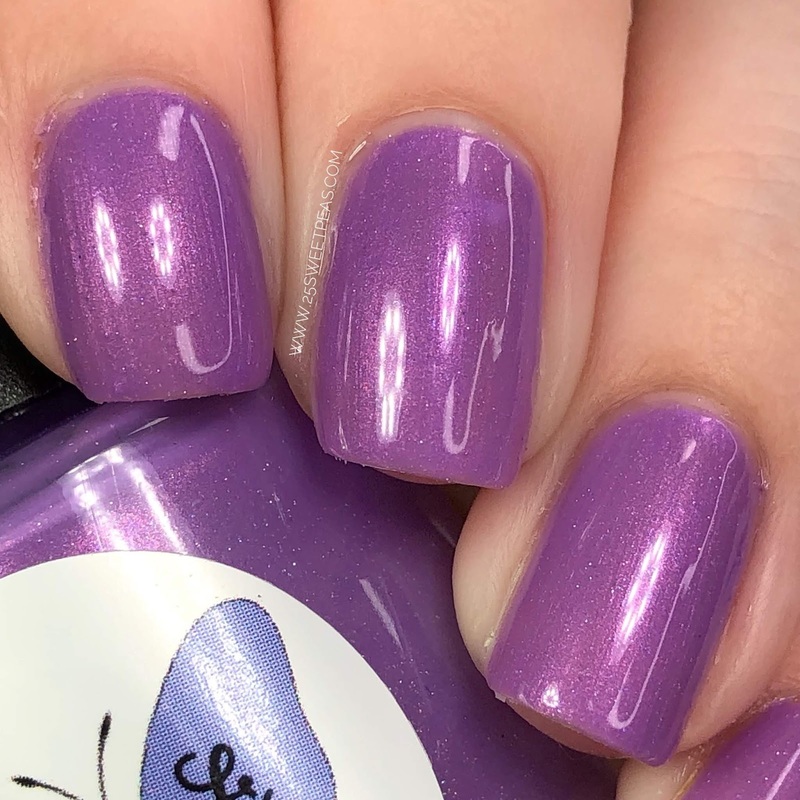 It covers in an easy 2 coats, with a lavender shimmer that makes it glow in sunlight. Its such a happen shade. Again perfect in 2 coats. A pastel blue with a green shimmer and scattered microfine holographic glitters. Ok so picture a sunny da by the pool, when water is catching the light and it look as if its sparkling! 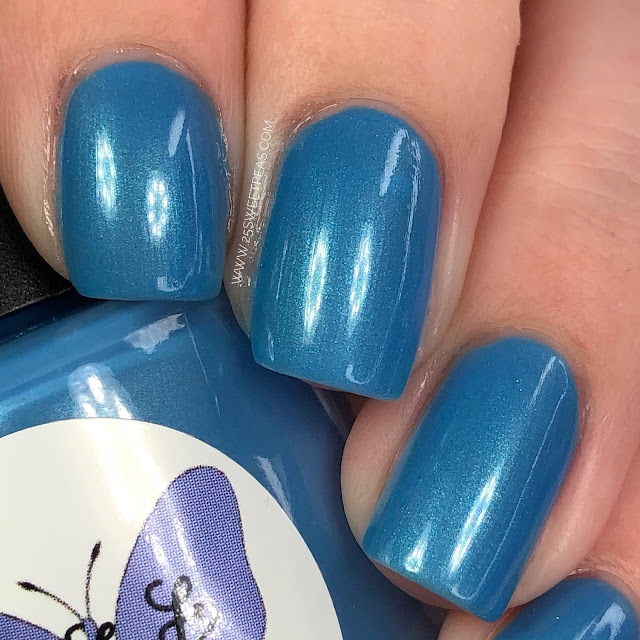 Well thats what this polish looks like. Its really lovely, especially in the sunlight. It covers perfectly in 2 coats. 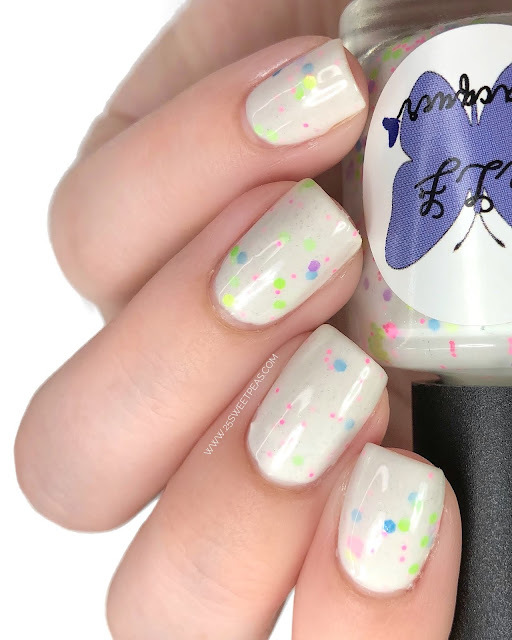 A pastel green with a blue shimmer and scattered microfine holographic glitters. 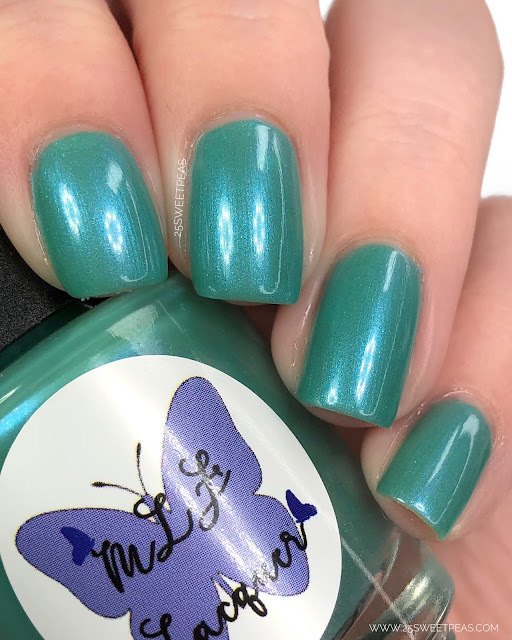 While this is described as a green I view it as more of teal like shade! Very pretty, and that shimmer really catches in the light. The formula was great, it applied perfectly in 2 coats. and I just love how it looks on! 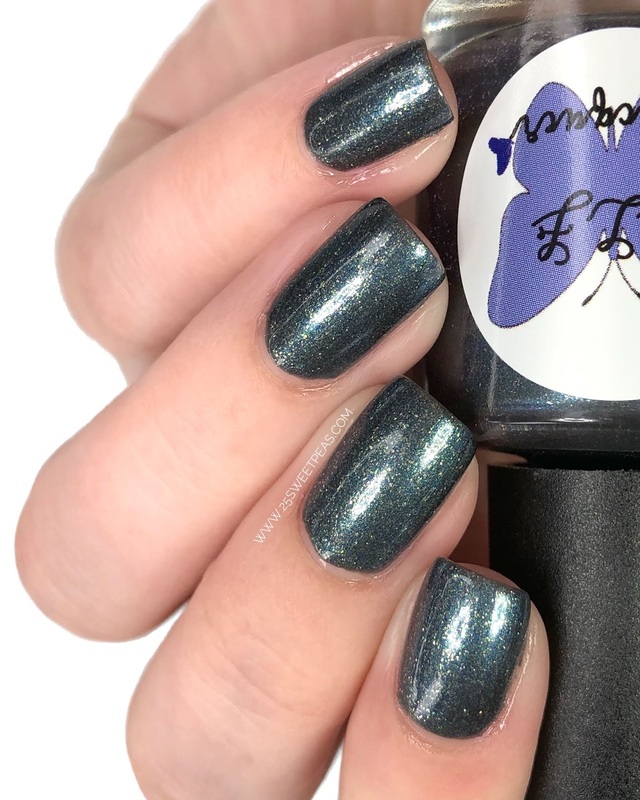 An overcast dark gray with sparks of blue, green, and real silver lined flakies. This polish is amazing! 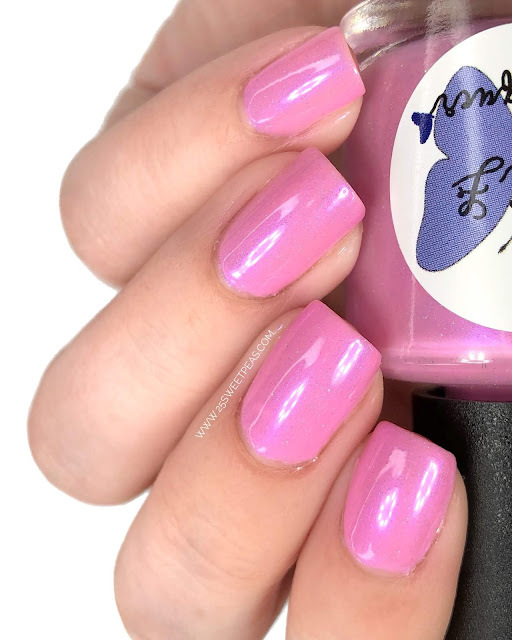 It has a fabulous formula, covers very evenly and perfect in 2 coats. I was so impressed, its applies just so perfectly and has a nice metal fleck finish. So now that we have taken a look at all of the new polishes let's chat about the release time, and swatch videos. 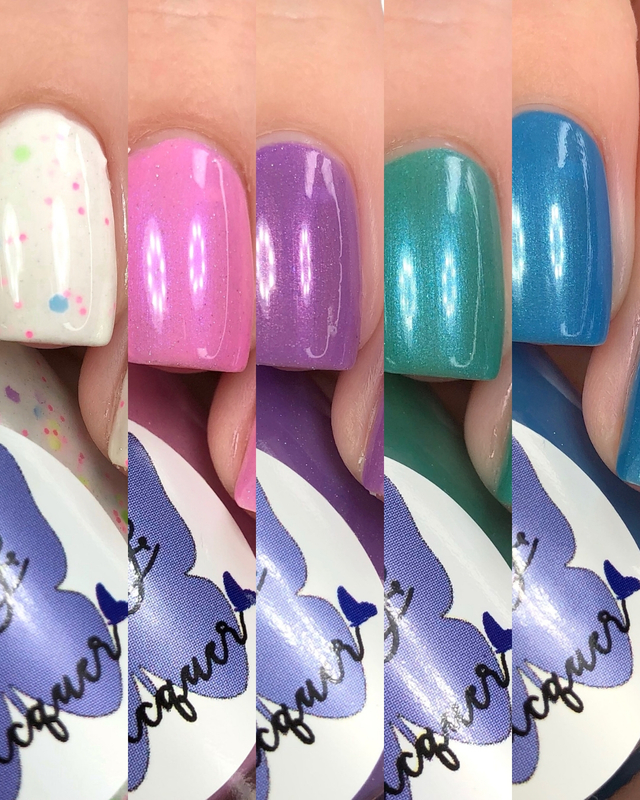 The first 5 make up the Easter collection which you can see live swatched here. 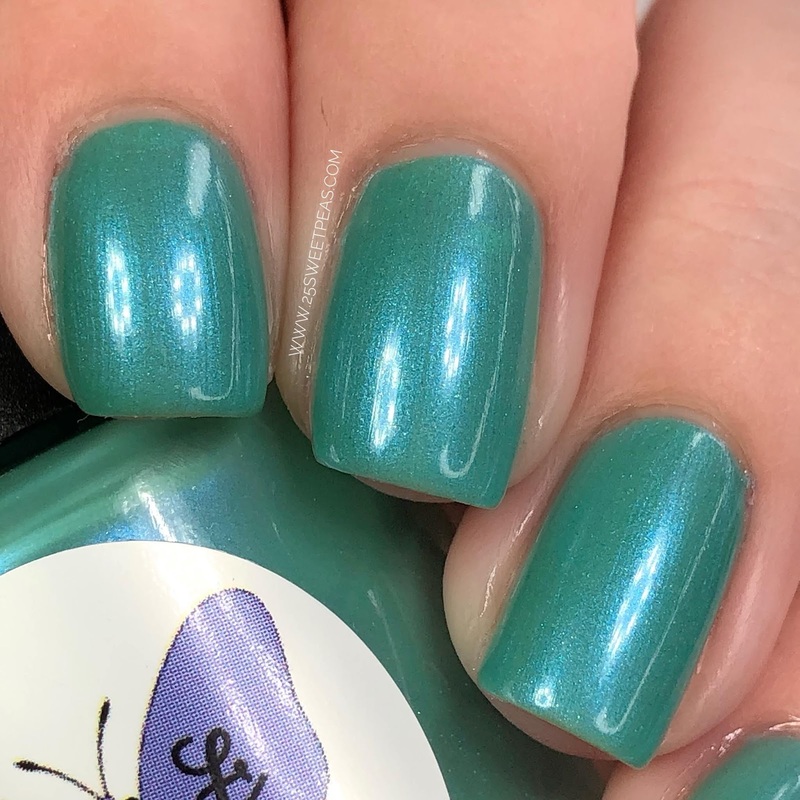 Then April Showers is a stand alone polish and you can see it live swatched here. All of these polishes are releasing on March 29th, this Friday. The Easter Collection will be available in its entirety for $40, or $9 each individually. April Showers will be available for $9. The link to the shop is down below if you watch to check it out!